If you have never heard of the TV show Black Mirror, you are missing out. This Netflix original pushes your imagination into the future by asking the “What if?” question on each episode with different technologies possibilities. As usual, the TV show has to have dramatic moments, climax, etc. to make it a show worth watching and Netflix doesn’t disappoint on their creation of the show. Each episode standalones by itself on purpose so hop into one of your choosing. Throughout the seasons, they will show you different technologies and the their projection on how it would change the future. On top of that, you are able to see how their philosophy and view of humans will also change in time. It is a dark satirical theme regarding the modern day thoughts and expanding onto the unseen side effects. There are some nerve racking parts (e.g. people controlling your brain or computers being too powerful for humans to control) and then there are some really interesting technologies. Either way, Charlie Baker, the creator of the show, will capture your imagination and make you wonder “what if” right alongside of him and everyone else at Netflix. Baker explains the show this way: “‘If technology is a drug – and it does feel like a drug – then what, precisely, are the side effects? This area – between delight and discomfort – is where Black Mirror, my new drama series, is set. 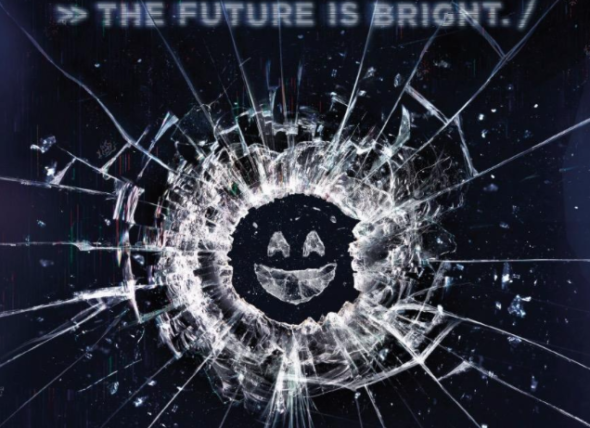 The ‘black mirror’ of the title is the one you’ll find on every wall, on every desk, in the palm of every hand: the cold, shiny screen of a TV, a monitor, a smartphone.’” If that doesn’t peak your interest, I don’t know what would. Suspenseful, relevant, and a odd mix of excitement or despair. Here are three technologies that I got out of the show. Hopefully these give you a short snapshot of what you could see in the show and also stoke your curiosity. In Season 3, Black Mirror paints a picture of a world where your “social media score”, a cumulative score that is given by everyone you interact with, permits or prohibits you from doing all activities. This is a 1-5 star scale that averages out over your lifetime. For example, if you are friendly to you next door neighbor, he would give you a 5-star. However, if you cut someone off in traffic, gave someone a bad look, or left a poor taste in someone’s mouth during a conversation, they could rate you a 1-star. These ratings then are added/subtracted to your total score and either helps or hinders your average “social media score”. Your score will then be pulled for leasing a car, buying a house, attending parties, eating at certain restaurants, and the list goes on. If you do not have a score of 3.6 out of 5 stars, you would have to adjust your living, eating, social standards to meet your score. Somewhat creepy, right? This might seem far off, but is it really? Yelp lets you rate restaurants, Uber lets you rate drivers, RateMyProfessor lets you rate teachers, there are apps that let you rate dates, and the list is just getting started. The technology is here – could it only be a matter of time before we start relying on it to choose our friends or the people we lease our apartment to? Imagine if your entire bedroom could be a TV, camera, social network, or whatever else you wanted it to be. All four walls would be your iPhone, computer, and TV combined. Better yet, it would have cameras to check if you were watching the content that was being shown, using your hand gestures as controls, or even projecting yourself into a crowd at a TV show or sports game. Additionally, every morning you would be able to see your schedule, the walls would let the “natural” sunlight in to wake you up, you could be immersed into a first person shooting video game, and the list of potential activities is endless. You never really have to leave your room, if you didn’t need to. We have all experienced the movie debate before – one person thinks a certain movie was scary, but the other person wasn’t scared at all or someone thinks Adam Sandler is hilarious while the other person doesn’t find his jokes funny. The solution that Black Mirror presents is to have the content be specifically curated to your own mind. By plugging into your mind, computers will be able to read your brain activity, heart rate, and overall body language to cater the movie or show to your liking. If you don’t think Adam Sandler is funny, the computer would swap a different actor in his place. Don’t think spiders are scary? The computer would change the movie into you being on a cliff, since you are scared of heights. The possibilities are endless with this technology. A few more examples are curated school teaching lessons, food tasting (saltier or sweeter? ), sleeping (hot or cold), or exercise (running in your gym or running through an Amazon forest?). There are insane solutions to these experiences that will make the content in front of you all the more appealing. Overall, this is the technology that Black Mirror sees coming into the future. The real attention grabber of this show is that the technology has already been created, but just hasn’t been designed or pushed in the direction that the show portrays it as. It is closer than we think and now the question that the show leaves us with is, “What if”?